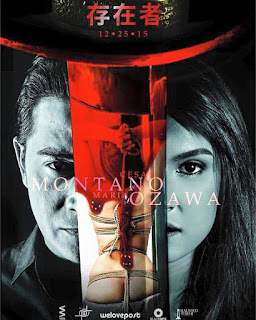 Is there any guy who knows Maria Ozawa would dare to miss this 2015 MMFF entry? Cesar Montano is so much blessed to get to work with the said phenomenal Japanese celebrity and perhaps, a lot of other Filipino actors wish to have taken his place instead. This movie project is truly something that happens once in a blue moon only and it actually took a lot of planning and negotiations before the producers finally had this film pushed through. 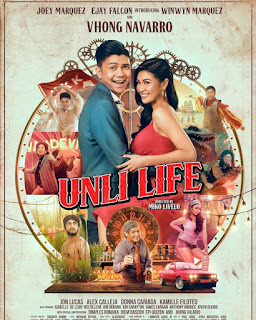 In fact, it was Robin Padilla who was first announced to star in this movie as the leading man of Maria Ozawa, but he eventually backed out due to his wife’s delicate pregnancy. “Nilalang”, also titled as “Sonzai-sha, is basically an action-packed horror-suspense movie that is all about the quest against a mysterious creature that eats human flesh and does something brutal with the victim’s dead body as part of a ritual. It also tackles something about anomalies among Philippine cops with the Japanese Yakuza. The movie was produced by Haunted Tower Pictures, WeLovePost, Parallax Studios, and VIVA Films. It was directed and written by Pedring Lopez. Meg Imperial, one of the most promising Viva princesses, holds also a significant role in this special horror-suspense action film. She will be portraying the role of a lady cop who will participate in the mission that would solve the mystery behind the heinous serial killings in Manila. Meanwhile, included to the rest of the cast of “Nilalang” are Yam Concepcion, Aubrey Miles, Cholo Barretto, Dido de la Paz, and Kiko Matos. In addition to the exciting fight scenes and state-of-the-art special effects, the movie also features a 3-minute kissing scene between the lead stars Cesar Montano and Maria Ozawa. This is definitely something to watch out for. “Nilalang” will be released in theaters nationwide on December 25, along with the seven other MMFF entries for the year 2015.